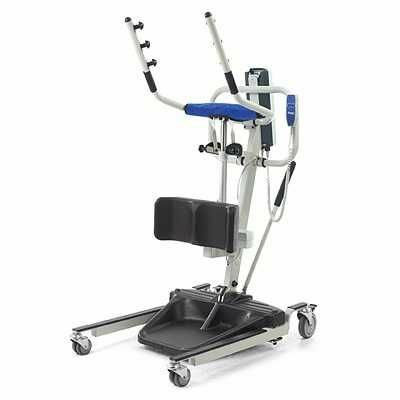 Invacare Easy - Lift Stand Assist 350 Safe And Easy. Gone are the days when back injuries were an accepted occupational hazard of the nursing profession. Hoists are now part of life for many people, both carers and patients. 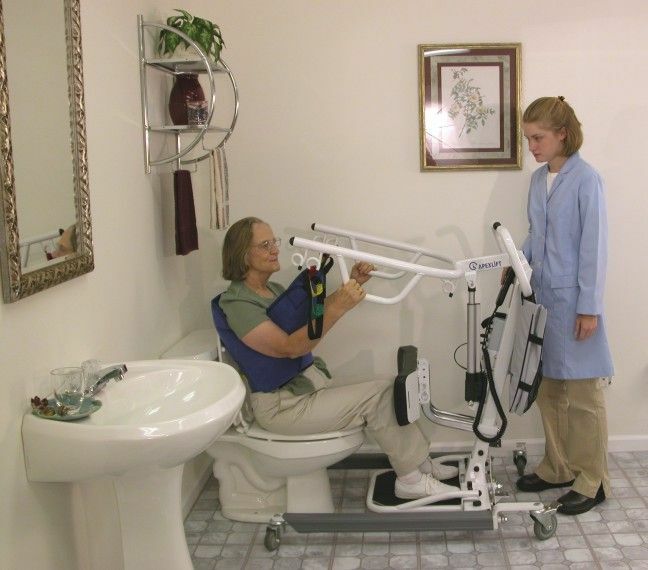 Using the Easy-Lift one carer can lift the patient from the chair, and assist the patient with toileting with minimal effort. With the handset connected to a flexible cable the carer can be close to there patient at all times. 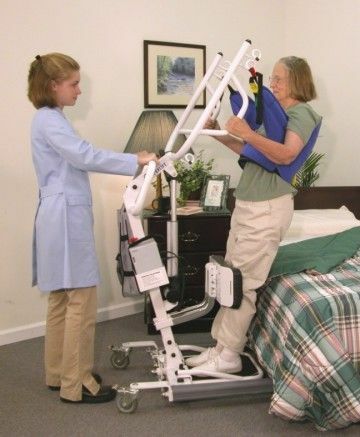 There are two types of sling, the 'Standing Sling' which as the name suggests stands the patient and the 'Transport Sling' which can be used for either standing the patient or transporting them from chair to toilet etc. Important: Before using the hoist. 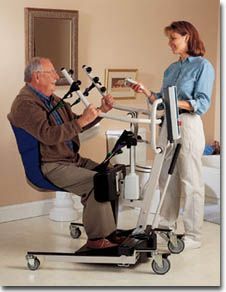 the carer must ensure that the patient is able to bear weight through the knees. Comes complete with spare battery and battery charger.